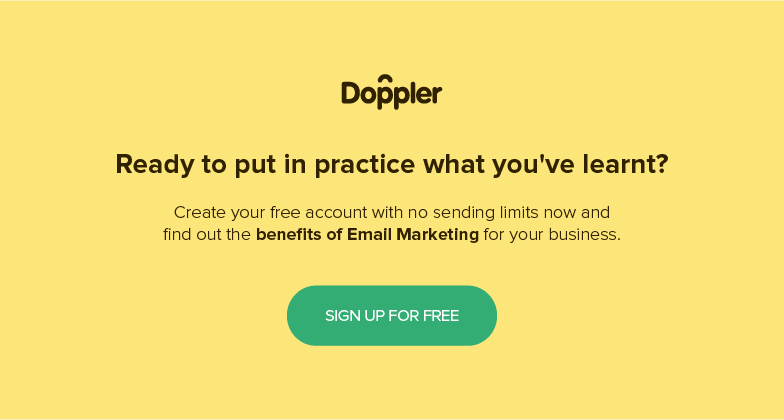 If you want to go a step further in the customization of your Campaigns, with Doppler you can decide what to show on each piece and so customize the Header and Footer of each Email. The header and footer of an Email are strategic locations for their visibility. That is why Doppler offers the possibility to delimit your preferences and modify the content that will contain each parameter. To do this, after entering to the Control Panel in your Doppler account, you should go to “Email Header and Footer” from the Campaign Settings. 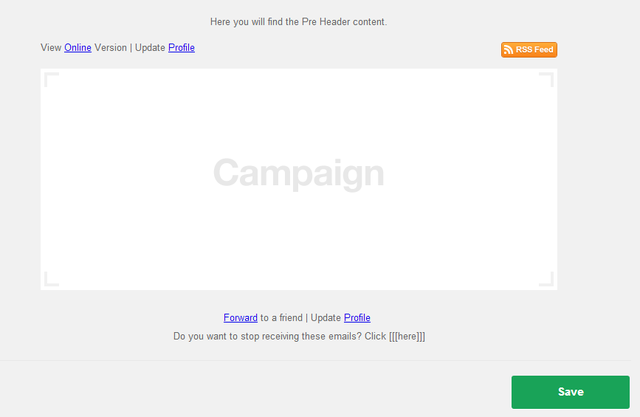 If you check the option “Show Pre Headline in the content of my Campaigns” you have the possibility that the short text that follows the subject appears in the content of the piece. In the same way, you can leave these links visible for others to see the Online Version, the Re-send it to a friend and Update Profile. After selecting the actions you want to make visible in the pieces of your Email, you can decide whether to display them on the Header, Footer or both sides. The Control Panel will show you a preview with the arrangement of the elements. Doppler also allows you to customize the text that you want each field to contain, just remember to include one or more words with triple bracket because that act as link for each action. 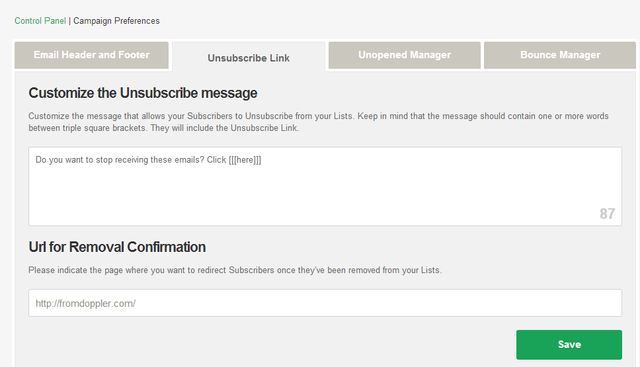 Because of the privacy practices, Link Removal cannot be disabled from appearing in the form, but you can customize the message that will remove Subscribers of your lists. For example, you can change the phrase “Do you want to stop receiving these emails? Click [[[here]]]” to “If you don’t want to receive our information, please Click [[[here]]]”. Similarly you can specify the Removal confirmation page, which will be the link to send your Subscribers after removed from your List. Finally, from the Preferences of Social Media in the Control Panel you can enable the action to share your piece in Social Media and choose which ones the Subscribers can share your Campaign with. Again, you may display the Social Media Icons in the Header, Footer or both places. 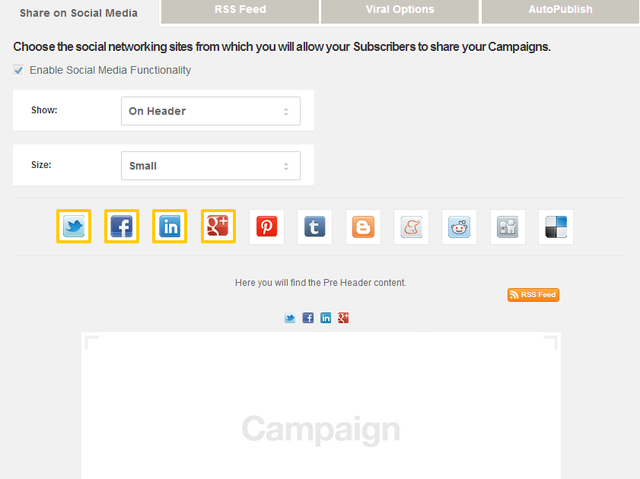 Create your Campaign with Custom Headers and Footer and develop the potential of Sharing! Don’t you have a Doppler account yet? What are you waiting for? Create your account totally free and without sending limit. Quiero retirar o cambiar mi dirección que aparece hasta abajo en los correos que envío. Cada lista debe tener una dirección diferente ¿donde hago eso? Hola Santiago, esto puedes cambiarlo desde el Panel de Control, en Preferencias de Cuenta dentro de la opción Información de contacto. Gracias por la respuesta Claudio, ¿pero es posible que cada lista tenga información de contacto diferente? ¿o que exista la posibilidad de omitir mi información de contacto en mis envíos? ¿Pueden agregar las redes sociales Flickr e Instagram? Actualmente puedes incluir, en el encabezado o pie de tus Emails, Facebook, Twitter, Google +, Pinterest y LinkedIn. Si deseas sumar a Flickr o Instagram puedes realizarlo dentro del HTML que has generado. Si tienes dudas de cómo hacerlo, escríbenos a soporte@fromdoppler.com y te ayudaremos con mucho gusto. Necesito que mi dirección no aparezca en el footer de mis campañas. ¿Cómo lo hago? Por políticas anti-suplantación de identidad, es necesario incluir una dirección en el pie de tus Campañas.